Without a doubt, the biggest risk that comes with auto equity financing is the possibility of getting your car repossessed. This will only happen if you fall behind on payments. 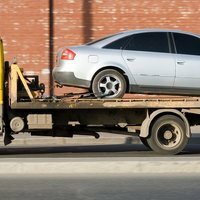 Even then, a repossession doesn’t mean you can’t get your car back. The State and cities like Austin and Dallas have numerous laws and ordinances in place. Some specifically protect consumers who are in this exact situation. Consult with the latest Texas rules and regulatory updates, but you can count on a certain amount of days before the lender sells your vehicle. To avoid this fate, it’s imperative to make payments on time and not fall behind. Contact your online title loan company if you foresee a possibility of default. Most Texas loan companies will work with you to set up an alternative payment plan. It costs a lender a large sum of money to repo your car and wait the required amount of days as Texas law requires. There’s no escaping this fact. Any title loan company in Texas will have hefty finance charges. You can count on restrictions in terms of how much your lender can charge, but they’re still going to be high. As mentioned above, these types of online loans aren’t for everyone. Rates are high because there’s a huge amount of risk for the lender that you could default. We always tell borrowers in this situation to get ahead of the payments. Just because you have a 24 month payoff term doesn’t mean you need to stick to those terms. Do what you can to make early payments and ensure your title loan company allows early payment. The sooner you pay off the full balance means you will no longer be paying huge finance charges. Your lender will place a lien on your vehicle. When a title loan company places a lien on your car that means they have first rights to it and essentially own your car. Consider that most online title lenders in the loan star state will operate under this same method. The borrower will hand over their pink slip and still be able to keep driving the vehicle. On that note, we know of some Texas title lenders who treat your loan as a vehicle pawn. This means they will lend you a sum of money but keep your vehicle as collateral. Some of these companies may no longer be able to operate in Texas so contact your local city or state regulator for more information. Ultimately, no one wants to hand over possession of their pink slip. But that’s the only way a company will lend such a large sum of cash as what we see with an online title loan. As was the key to all other downsides we discussed above, you really only have two options as Texas resident. First, don’t get a title loan. Instead work with a traditional lender(if your credit score is good enough) or borrow money from friends or family. The second option is to take out a title loan and pay it back as soon possible. By doing this you avoid the risk of repossession. You will also pay as little fees as possible and upon full payment you will get the pink slip back!